And so it is that another overseas coach, new to English football, is left bemused at how his team could have the lion’s share of possession, create more chances and still come out of the wrong side of the result. Welcome to the Premier League Javi Garcia; you have just been Dyched! Watford’s new boss shouldn’t feel too downhearted, the same thing has happened to so many others before him; DeBoer, Koeman, Pellegrini; even Antonio Conte found that his expensively assembled squad of defending champions could not immunise him from an encounter with Dyche’s Burnley. “Winning ugly” has become very much Burnley’s thing this season; doing the scrappy things; tackling, pressing, blocking followed by more tackling, pressing and blocking. But surely beauty is in the eye of the beholder and I’m sure I speak for most Burnley fans when I state that I could watch my team do this all day, if it continues to yield these results. For seventy minutes of Saturday’s match at Vicarage Road it was all going so well for Garcia and his team; Burnley’s stoic defence was finally breached on the hour by a close range shot from Pereyra and Garcia could have been forgiven for thinking that his team would now see the game through to a successful conclusion. Then on came Sam Vokes. The Welsh striker has become a talismanic figure during his time with the club; it was his header which secured the second promotion under Dyche; his turn and shot which helped defeat Liverpool last season (add Jurgen Klopp to that list of puzzled managers) and his goals which set up the win at Stamford Bridge. This season however, Big Sam has found his opportunities more restricted due to the superb recent form of Ashley Barnes and Chris Wood, so when he was introduced to replace Nkoudou, he was a man determined to make the fullest use of his opportunity. Not even Vokes however, could have imagined that such an opportunity would arrive with such speed and in such a manner. Matt Lowton’s free kick was swung into the Watford penalty area, an ill-executed defensive header dropped at Vokes’ feet and his first touch of the ball – a mere twenty two seconds after his introduction – nudged it into the Watford goal. Then, just a couple of minutes later, Barnes was fouled on Burnley’s left; the resulting free kick looked to have been over-hit, but Kevin Long stretched every sinew at the far post in order to direct a header back across the goalmouth, whereupon Jack Cork headed the ball with just enough force to cross the line before Watford keeper Karnezis could scoop the ball away; goal-line technology confirmed its legitimacy. 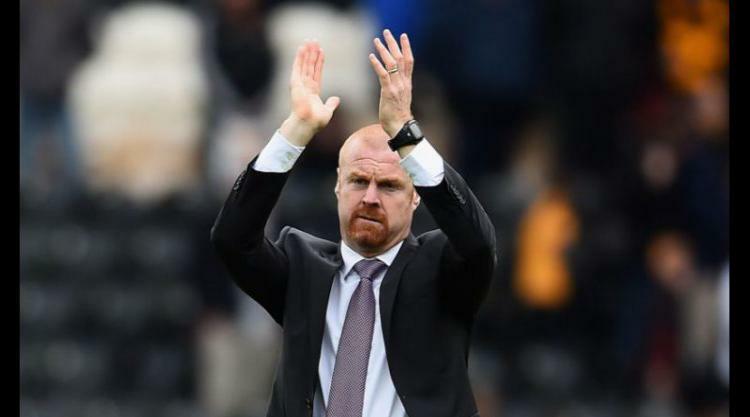 With eighth place Leicester losing at home to Newcastle, Burnley strengthened their grip on seventh place and maintained their impressive form on their trips to the South of England. Burnley’s forays down the M1 this season have seen them defeated only once. They have one further southern excursion to make; to the Emirates, with the prospect of exacting some retribution for past wrongs against the Gunners and hopefully nicking sixth place off them – wouldn’t that be karma? This rather Burnley centric match report was written by uber Burnley fan Dave Thornley (TEC).